Just like anyone, I love a good flatlay. Honestly I spend a solid 70% of my time scrolling through Pinterest or Instagram in awe over these beautiful flatlays. But I really don’t know how these people do it. I swear its taken me a good few months to really work out the whole flatlay thing. And even then they aren’t anything special. I guess thats the beauty of flatlays, you can really do your own thing. And it’s all about experimentation. You’ll find yourself with 264 photos of the same thing, but maybe one slightly to the left or with a different candle in the corner. And in the end you’ll only use one or two. 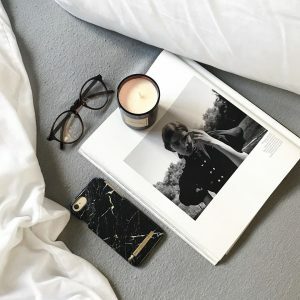 But, for the perfectionists out there like myself, here are 5 tricks and tips I’ve used to get that insta-worthy flatlay. Nowadays, flatlays have become less…well, flat. I’ve seen a lot more angles and dimensions to help capture light and any prominent features. Many bloggers, like myself, rely a lot on the natural light so keeping it at an angle helps allow the light in a bit more. Also, it could just be it’s a pain in the proverbial to try lie things down perfectly straight, especially if you’re shooting them on a bed! So try all the angles, go a little to the left, right, up, down – even the angles you don’t think will work, give em’ a go. And find what works for you and your aesthetic. I think it adds something when you’re using props like magazines, books, laptops and candles, it gives them more dimension and almost fills out the picture more. It’ll also let you play with the light as well, which is great if you’re snapping something like jewellery. I think this is a no-brainer. Even on the most minimalist of flaylays there’s some form of prop, they’re a staple to flatlays. They make a flatlay a little busier, and it compliments the main feature of the flaylay. Props could be complimentary items such as plants (peonies, tulips and eucalyptus are always a good choice) or confetti, or more ‘in a real life situation’ (the only way I could think to explain it) such as magazines, trays and candles. This is similar to the props I guess, but it’s also a point in itself – I don’t know. It’s also not a necessity, it’s just another good thing to experiment with. Try adding layers to your base/background. For instance adding a blanket or scarf, or even just a coloured piece of card in the corner. Obviously you don’t have to. Some like just a white or block colour background (probably me tbh). But, I feel like I’ve already said this a thousand times my bad, it adds some dimension to it and it can add something, or balance out a picture. It doesn’t have to be half of the picture, it can be literally a corner, or 3/4s of it. It just depends what feel you want to go for or how many props you’re using. You don’t want to make it too busy. Just think what materials, colours, textures, patterns you could use – there’s really no wrong answer. Now this does require a tripod or second pair of hands to master. It’s nice to see a human element in the photo. It doesn’t have to be the whole of you, it could just be your arm. Most people either use arms or legs really. It creates this ‘real’ sort of feel I guess, almost like an action shot. It will feel awkward as you’re almost pretending to do something, but it looks fab. So long as you have a tripod (or a pile of boxes and books if you’re me) then you can do this on your own, either by risking it and just whacking a timer on and hoping for the best, or if you have a canon (I’m not sure about other camera brands) use the in-camera wifi to connect the camera on your phone on an app and use that as almost a remote for your camera, so you can see what it all looks like. 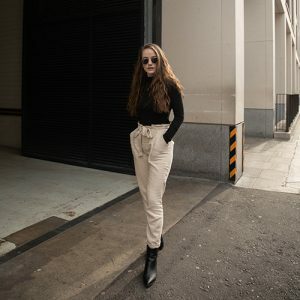 I won’t go too much into it but check out LexiLife’s post if you want to know more about self-photography, she lays it out so simply! Now, the perfect flatlay won’t come straight from the camera. It’s so hard to get the flatness, brigtness, colours and look you may want. So don’t worry. Apps such as VSCO Cam have a skew feature where you can straighten up a photo so it looks more straight on, and this is perfect for just touching up flatlays, especially the birdseye view ones. This will cut some your image, so it’s best you do it as accurate as you can on camera, so you don’t loose much of your flatlay. Also don’t be scared to take a photo upside down as remember, you can just flip or rotate it. So you don’t have to sacrafice and shadows or weird lighting. Speaking of lighting, it’s good to have solid lighting but in these winter months it’s not the easiest. So don’t worry if you don’t get that too white to be true background or perfect bold product. You can touch it up later, especially the white background. Again, I do advice you try and get the best lighting you can. Or up the ISO/exposure on your camera, but don’t worry about perfection. So there are my tips! And I’m just now noticing the word count for this post. Now let’s watch Em try and make a cliche look less cliche. But flatlays are an art in themselves, and will really reflect you and your aesthetic. So do your own thang. Play around until you find what you like. Take inspiration from Pinterest or Instagram. But don’t mimic them, that’s no fun and I just think it’s nice to have complete freedom with what you do. 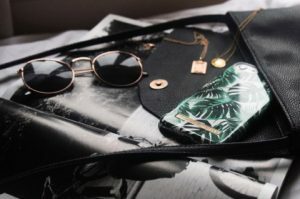 And practice practice practice’ Like with all photography, experimenting and practicing is key to find your style and to master the flatlay photography. Finally, to share the larv I want to share my fav flatlay queens, so definitely check out Barelytherebeauty, Alina Sirbu and Livie Grace! I loved this blog post! 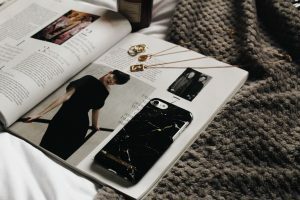 Flatlays are something that I absolutely adore and think look really professional – definitely something that I want to try and perfect this year.